Okay, personality nerds, I’m going to do something a little different today and talk about a fictional MBTI® character. Loki, the “god” of mischief and the slighted younger brother of Thor. He’s one of the most well-rounded villains in comic book history and is a very obvious INFJ. He makes a good example of an unhealthy INFJ or an INFJ gone “bad”. How Do You Know Loki is an INFJ? 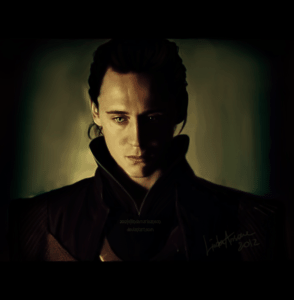 Introverted Intuition – Loki spends his time alone pondering and devising one “master plan” to take over the earth. He keeps his plan to himself until the right time when all the pieces are in place. He can easily foretell how certain events will unfold and enjoys kicking back and watching everything fall into place that he’s planned so carefully. 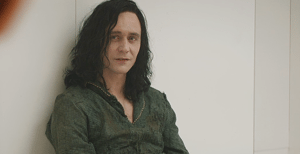 Extraverted Feeling – Loki easily identifies other people’s weak spots and emotional vulnerabilities and knows how to manipulate them to his will. He also makes broad statements about humanity. Fe-users are more likely to believe that humans all share core similarities, whereas Fi users are more likely to see everyone as fundamentally different. His whole purpose is very feeling-driven; he feels slighted by his family and wants revenge. Introverted Thinking – Loki wouldn’t be able to organize and make his plans become a reality without accessing his introverted thinking. He combines introverted intuition and thinking to strategize the perfect plan. Again, he keeps his plans and systems internalized so that nobody will know what he’s up to. Extroverted Sensing – This is Loki’s inferior function; but it shows itself in his colorful, decked out appearance. There are times where he shows intense physical grace, and other times when he seems completely oblivious to his surroundings. One great example is in the scene where he is too busy telling Hulk how great and God-like he is to realize Hulk’s strength and power right in front of him. When Odin brought Loki home to be part of his family, he didn’t think too hard about family dynamics. I know, right? How could the king of Asgard not know his personality types! Odin (as portrayed by Anthony Hopkins) is most likely an STJ personality type; and he favors his son, Thor, who is an ESTP. ESTPs and INFJs are diametrically opposite in their preferences; the INFJ is strong in the areas where ESTPs are weak, and vice versa. Where INFJs need acceptance, understanding and time alone to plan and strategize, ESTPs are impulsive, thrive on action, and in Thor’s case, tend to jump into things without time to reflect or mull things over. This isn’t to say all ESTPs do this; but we’re talking about a superhero movie here; and if anyone’s seen Thor, you can see he characterizes some unhealthy ESTP tendencies. STs tend to share a natural affinity and understanding of each other, and it’s likely that Loki felt excluded in the presence of his father and brother. On top of feeling fundamentally different from the rest of his family, Loki also learns that he’s been lied to his whole life, and that his race has been nearly destroyed by the very man he believed to be his father. He learns he’s from a race that has been vilified and destroyed by the very person he believed to be his father. INFJs who seek to understand their purpose and meaning to such a great degree would feel majorly betrayed by a situation like this. They feel deeply betrayed by dishonesty, but can be very manipulative and resourceful at employing it if they are unbalanced (as Loki becomes). When Loki learns he is the only frost giant in Asgard he suddenly understands the reason for his sense of isolation. He realizes why he’s always felt misunderstood and out of place. At some point, Loki decided he’d had enough of all this. He was done being the brother in the background, the least favorite, and gave into his trickster side. Using introverted intuition he quietly pieced together how he would manipulate people and circumstances to achieve revenge and, finally, glory. No more being in the shadows; no more being lied to; no more subtle betrayal. He was going to show everyone that his way of doing things was going to cause more chaos, more panic, more impact than any of Thor or Odin’s plans. He was going to show everyone that he could conquer the world; and he was going to finally have the glory and adoration he’d always craved. 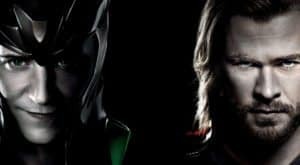 Just as Loki can switch back and forth between being sympathetic and quiet to boisterous, twisted, and malevolent, so INFJs can often feel like two different people. In one sense, being extraverted feelers, they often hide their dominant function of introverted intuition in favor of making others “feel good”. This can lead them to being walked on and misunderstood. I think inside every “nice” INFJ there is a dark side. The side that is tired of hiding behind what other people need or want, the side that has a bigger, unspoken plan, and the side that wants to slam doors, yell, get in to people’s faces and finally be “understood”. 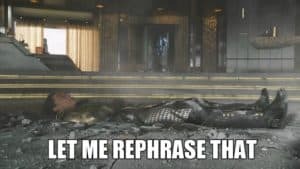 As an INFJ I find Loki to be a very relatable villain. This doesn’t mean I want to destroy the planet, kill everyone, and be the master of everything. What he does is clearly evil. But he’s a sympathetic villain all the same. Also, I realize this post can sound like INFJs all have persecution complexes and we’re all moping about how we’re so misunderstood. Don’t get me wrong, almost everyone is misunderstood in some way. INFJs just have a higher chance of being misunderstood since they are such a small percentage of the population. What are your thoughts? Do you have any fictional characters you’d like to type with me? Let me know in the comments! This is a fun post! And I really like how you described the INFJ dark side. I was crying when I read the part about how tired an INFJ feel to hide what we truly feel cuz I can absolutely relate to it.. Thank you so much for writing these nice posts. I got on your blog by chance and now I’m a fan ?? Thank you so much for your feedback and encouragement! I am sorry that my post made you cry though 🙁 I’d love to have your thoughts on future posts, so thank you for following along! I think you typed Loki correctly. A little info you might not have considered before. Plus how he trashes the place after his mother’s death and shows this blasé coolness about it, hiding his true anguish, shame and regret. He is so hard on himself. As someone who is an INFJ and with one of my best friends being an ESTP, I can fully empathise with this description. Is it just me, or is Thanos (I’m probably spelling that wrong) from Infinity War seem to be an unhealthy INFJ?